Post-Ucas deadline: five things to do next - Which? When you'll hear back from the universities will vary as they all have different resources and methods of dealing with incoming applications, while some courses will receive more applications than others. Either way, start thinking about any standouts that you're really hoping for an offer from to make your first and insurance choices. While you wait, brush up on the different university offers you may receive so you know what they mean and can make a smart decision. You might be asked to attend an interview as part of your application to a university; if so, start your prep as soon as possible. You'll find that certain universities and subjects are more likely to require interviews than others. Feeling nervous? Pick up some tips to overcome those jitters, including how to buy yourself some time in an interview if a question causes you to stumbles. Most art and design applicants still have about two months until their application deadline (end of March). If this is you, you'll likely have to provide a portfolio of your work and present this during an interview. Hopefully you've had a chance to head to a few open days before making your five course choices. A second visit can help to confirm your feelings about a particular university, ask some new questions or refresh your memory. You can also use it to explore the local area and student hangouts to decide whether you can imagine yourself living there for three years. Does that city and location have what you're looking for, whether it's an active nightlife or good transport links to home? If you're not sure what to look for in a uni city, read our guide. You don't necessarily have to wait for an official open day. Feel free to make your own trip; though if you want to see certain areas on campus, the university may need some notice so they can accommodate you. 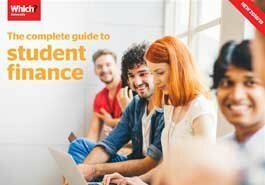 There's actually no need to wait to hear back from universities to apply for student finance, so get this out the way to ensure your first payment hits your bank account in time for the start of term. Find out what you'll pay in tuition fees and what financial support there is for you to apply for (plus the deadline to get yours in time for when you go). Also, start putting together a rough budget plan, thinking about your likely income and outgoings once September rolls around. Doing this now will help with planning things like whether you'll need to take on part-time work before and/or during university, extra funding you should seek out etc. Get your priorities straight when it comes to student accommodation. Is there a maximum number of students you want to live with? Are you after catered or self-catered accommodation? Is an en-suite bathroom an absolute essential, or something you can live without? Keep your expectations realistic, in line with your budget and what your preferred universities have to offer. You can start to see what your rough living costs might look like, with our student budget calculator. Most unis allocate accommodation on a first-come, first-served basis, so get your application in early. Ideally you'll have seen (or can plan to see) accommodation at open days or via online tours, to get a proper feel of the different living options available.